Gold wash plant for sale! 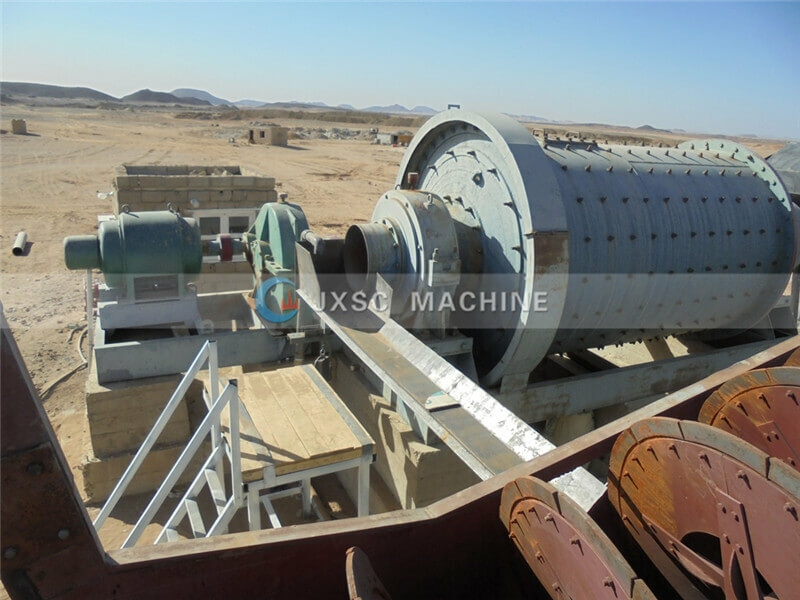 JXSC provide whole gold wash plant around the world, gold mining equipment includes crusher, conveyor belt, shaking table, gold trommel, sluice, etc. 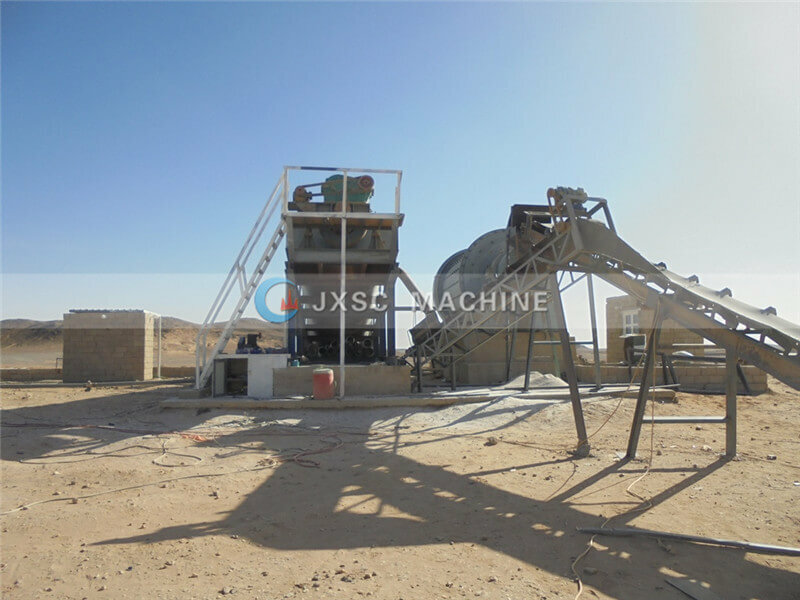 Brief Introduction: JXSC mine machinery built a complete 200TPH Rock Gold Processing Plants for one of our Sudan client. Feeder hopper, conveyor belt, trommel screen, desliming, gold centrifugal concentrator, mineral jig, shaking table, sand washer, etc. Gold-bearing minerals are divided into gold placers and mines. Therefore, there are two kinds of gold mining equipment: one is placer gold mining equipment, which mainly uses gravity separation and amalgamation principle. One is the mine crushing gold, mainly using gravity, flotation, amalgamation and cyanidation methods. Gold ore dressing equipment is mainly used in places where there are rivers or sand and other raw materials-based areas, especially on both sides of the river and dry riverbed used more. 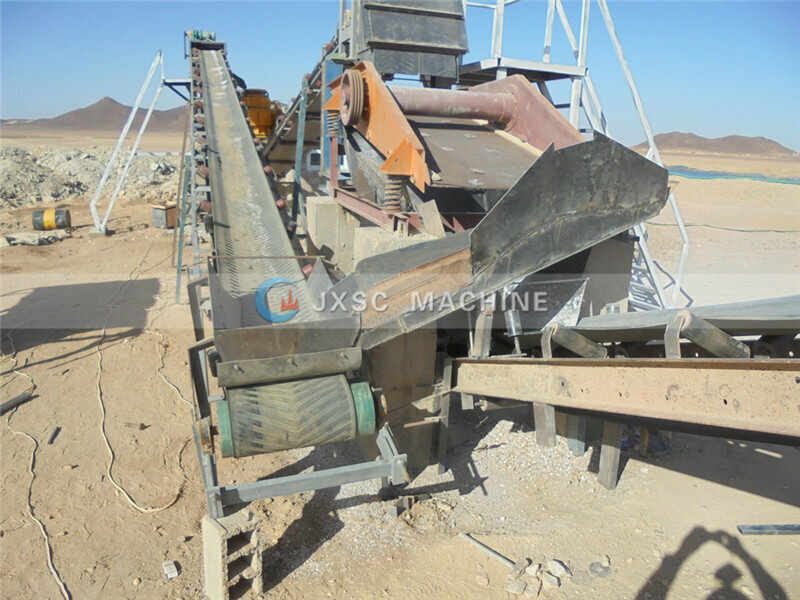 Mine crushing equipment used for gold mines, gold ore needs to be broken after ball milling for gold dressing. The JXSC gold wash plant has the advantages of large processing capacity, simple operation, low maintenance rate, high recovery rate and strong reusability. JXSC gold wash plant for sale! Gold placer gold panning equipment to stir the clay trough, shaking table, Jig or centrifuge-based. Both the clay tank and the centrifuge can mechanically clean the coarse concentrate with a large capacity and a high recovery rate. From the process configuration, it also reduces the space position and floor area as compared with the solid tank It will no doubt replace the process dominated by a single fixed clay groove. 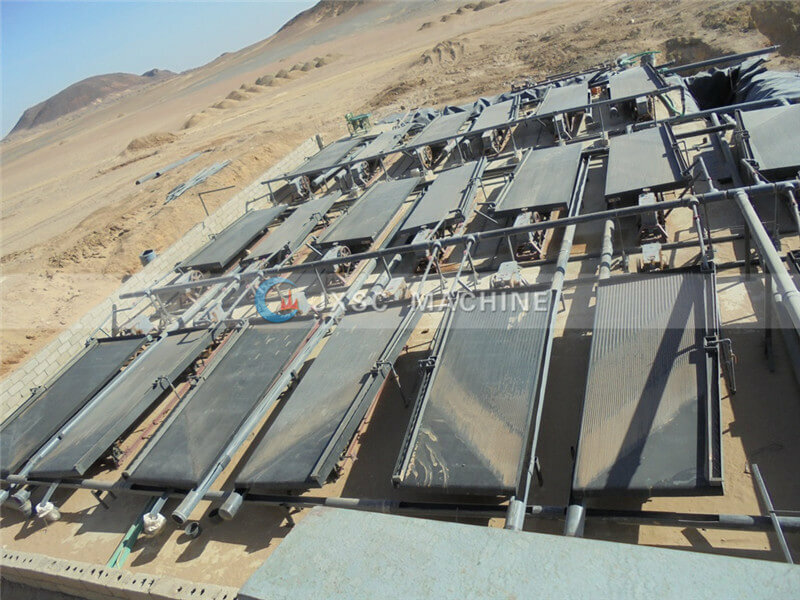 This kind of flowsheet equipment is compact in configuration, makes reasonable use of the space and natural height difference of the gold-mining equipment, realizes the self-flow return of the ore pulp, thus simplifies the gold-dressing process and reduces the loss of gold by the cleaning operation. This process will eventually take the place of the hole-jig process. In addition, the process of dewatering and desliming of raw ore will be added to the placer gold equipment, and the gold-bearing heavy sand will be extracted, and the final product will be extracted in the onshore concentrator, which can simplify the gold separation process on the placer gold equipment, reduce the loss of gold and increase the recovery rate of gold. JXSC gold wash plant for sale.